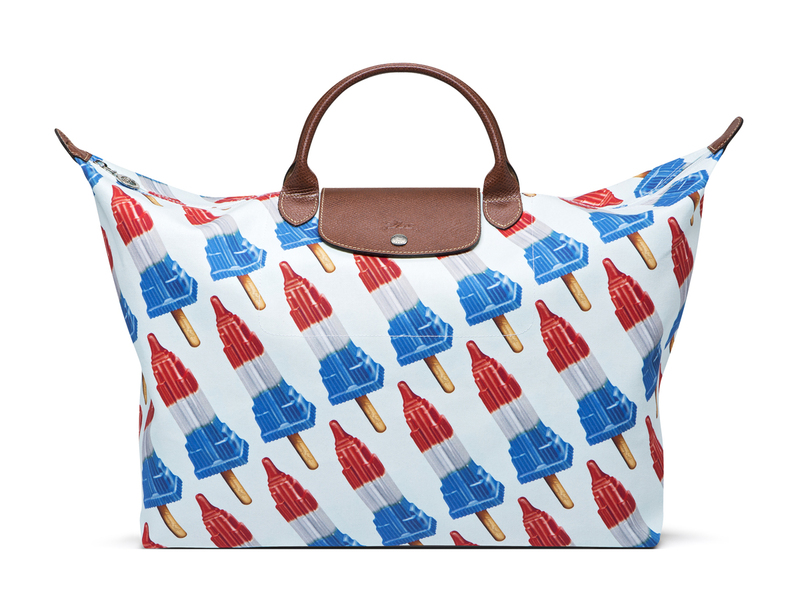 I don’t know about you, but there’s something pretty ironic about Jeremy Scott’s latest limited edition Le Pliage contribution to Longchamp, especially after the way the 2016 US presidential turned out. Definitely not as ‘refreshing’ nor as ‘tasty’ as the accompanying press release about the unisex bag touts it to be, printed with a popsicle in the shape of New York’s famed Empire State Building in Red/White/Blue. Still, this has got to be one of my favourite Jeremy Scott for Longchamp limited editions yet, and should be released in Singapore sometime towards the end of December 2016 and retail for SGD440. But if you can’t wait, you can pick it up via Colette online now where it retails for EUR220 a pop. Do you know what are the available sizes? Hi Jessie, the Le Pliage Jeremy Scott limited editions only come in one size, and it is 45 cm by 35 cm by 23 cm. Thanks.